The technology used in Radio Frequency Identification (RFID) is not new, but global business continues to find additional lucrative applications for its use. Security and access control were among the initial drivers of RFID technology but now such applications as product security, inventory, production efficiency, shipping and importing, food safety, aviation and retail, just to name a few, are making use of RFID. A new market study by Global Industry Analysts has projected the world RFID market will hit $18.7 billion by 2017. The small cap world is loaded with companies that use RFID technology as important parts of their business models. Here are a few names, selected completely at random, that may be worth checking out. Remember: we are not recommending anything, but solely identifying some small companies that are publicly traded. Israel-based B.O.S. Better Online Solutions (Nasdaq: BOSC, http://www.boscorporate.com), founded in 1990, provides an entire array of mobile and RFID solutions and supply chain solutions for enterprise logistics and organizational products. Its customer base is global but its market cap is tiny, only $2.95 million as of March 20. At mid-day March 26 BOSC stock was trading at $1.04, down 1 cent on the day, near the the bottom end of its 52-week range of $0.58-$3.67. If you’d like to learn more, tune in to the company’s fourth quarter and year-end conference call at 4 p.m. Israel time March 28. Port Townsend, WA-based Intellicheck Mobilisa (AMEX: IDN, http://www.icmobile.com) provides commercial applications for reading and verification, government sales of defense security and identity card applications and develops wireless communications applications. Its products come in three areas: commercial identification, defense security and wireless applications. IDN bought Positive Access Corp. in August 2009. One product, IDv-Check, helps read and verify California and Canadian drivers’ licenses, among other things. At mid-day March 26 IDN stock was trading for $1.66, up 1 cent on the day, so far setting a new 52-week high. Low end of the range is $0.81. Everett, WA-based Intermec (NYSE: IN, http://www.intermec.com) is a global business that designs, develops, integrates, sells and resells automated identification and data collection products and related services. 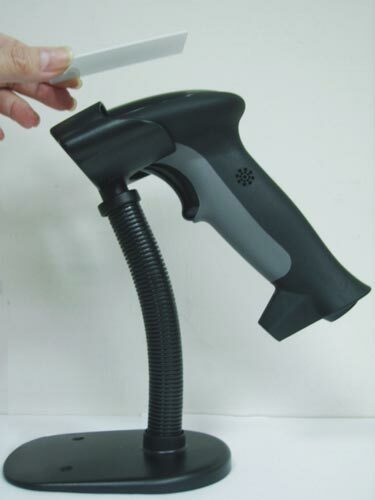 Products include mobile computers, barcode scanners, printers, RFID products, among other things. On March 13, IN introduced two new desktop printers “perfect for space-constrained settings,” according to a press release. At mid-day March 26 IN stock was trading at $7.81, up 10 cents on the day. Its 52-week range is $5.87-$12.21 and its market cap is nearly $465 million. Santa Ana, CA-based Identive Group * (Nasdaq: INVE, http://www.identive-group.com/) is a seller of physical and logical access control products, RFID products and identity management. CEO Ayman Ashour has built the company through acquisitions after coming over from HID Global, a division of Stockholm-based Assa Abloy, a major competitor. Identive is followed by several sellside research analysts. At mid-day March 26 Identive was trading at $2.03, up 19 cents on the day. Its market cap is about $105 million and 52-week range is $1.37-$5.90.